Lazard is a global asset management company that tracks the cost of producing electricity, among other things. It uses a measure called the Levelized Cost of Energy (LCOE), which averages the estimated costs of construction, maintenance, and fuel for electricity generating assets over the number of megawatt-hours that each is expected to produce over its lifetime. In simple terms, it is one way of comparing different ways of making electricity to see which cost more and which cost less. 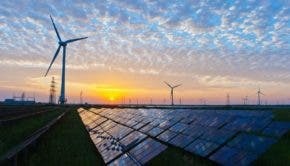 In its latest report on the cost of electricity generation, Lazard finds the cost of both onshore wind and solar has decreased by 6% over the past 12 months, according to ArsTechnica. The cost of coal has remained the same and the cost of nuclear has increased. “This is expected to lead to ongoing and significant deployment of alternative energy capacity,” Lazard says in a press release. The upshot of all this is that operating a coal-fired facility like the Navajo Generating Station in Arizona may be more than the cost of building and operating a solar or wind power installation. 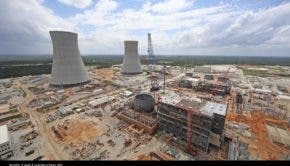 Nuclear power is getting more expensive, Lazard reports. In the last 6 years, the cost of building and operating a nuclear power plant has increased by 35%. That has put pressure on a number of utilities who still have nuclear construction projects underway and forced some projects to be abandoned before they are even completed. Another part of the Lazard report deals with energy storage prices, which are not declining as rapidly as some renewable energy advocates had hoped. For grid-scale storage, lithium-ion batteries are the best bet at the moment, with zinc and vanadium flow batteries most cost effective for some specialized applications. With regard to residential battery storage, Lazard says it is still too expensive to be economically viable and makes little sense for most US customers. Residential storage is a logical choice only for people who live in areas where electricity prices are higher than the US average, such as Hawaii, Australia, and Germany. “Industry participants expect costs to decrease significantly over the next five years, driven by scale and related cost savings, improved standardization, and technological improvements,” the Lazard report says, then adding that increased demand could help drive down those costs. “The majority of future cost declines are expected to occur as a result of manufacturing and engineering improvements in batteries,” with capital costs associated with installing lithium-ion batteries “expected to decline as much as 36 percent over the next five years,” according to industry watchers contacted by Lazard when preparing this latest report. The cost of energy storage is what the US Energy Department is relying on when it claims the federal government must continue to prop up coal and nuclear power facilities. The problem is that electric generating plants have a useful life of 40 years or more but grid storage solutions can be expected to fall considerably in cost in the next few years. Pumping the tires for the coal and nuclear industries now may make some short-term sense, but will doom ratepayers to paying outrageous utility bills for many decades as the cost of storage continues to decline. One approach — promoting renewable energy and storage — looks to the future. The other — spending billions to prolong coal and nuclear power — looks to the past. Utility companies don’t care, so long as their guaranteed rates of return continue unabated. “The customers be damned. We want our money!” is the motto of utility managers and investors.